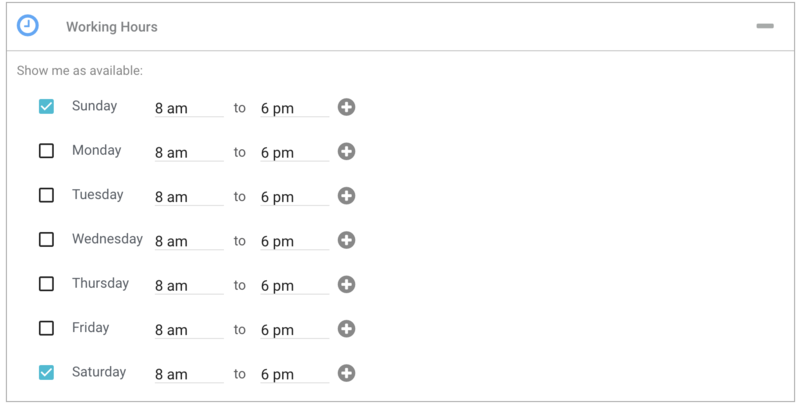 As a user, managing your working hours can easily be set up in a few clicks. In this article, we cover a few different use cases. 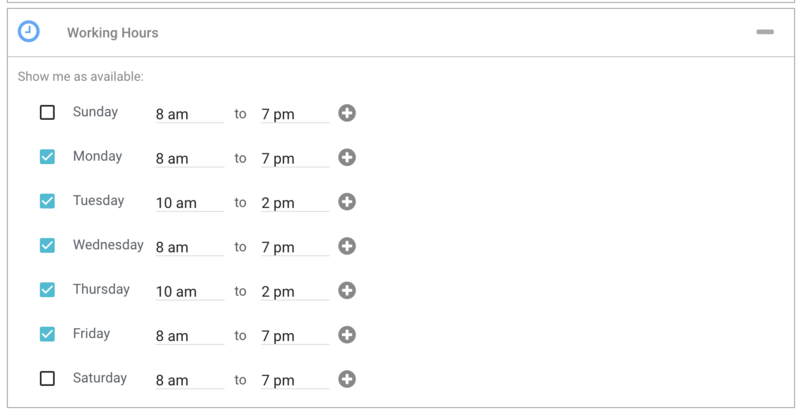 First, make sure you navigate to "My Settings" in Chili Piper and select "Working Hours" to edit your availability. 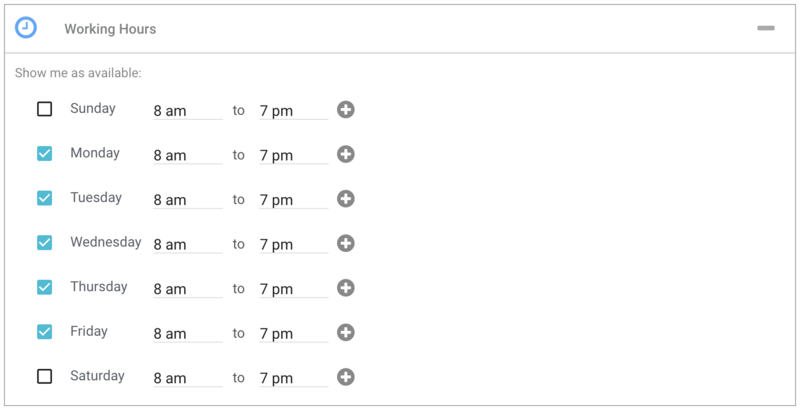 This is another common use case for users that may like to work long hours on certain days and short hours on other days. 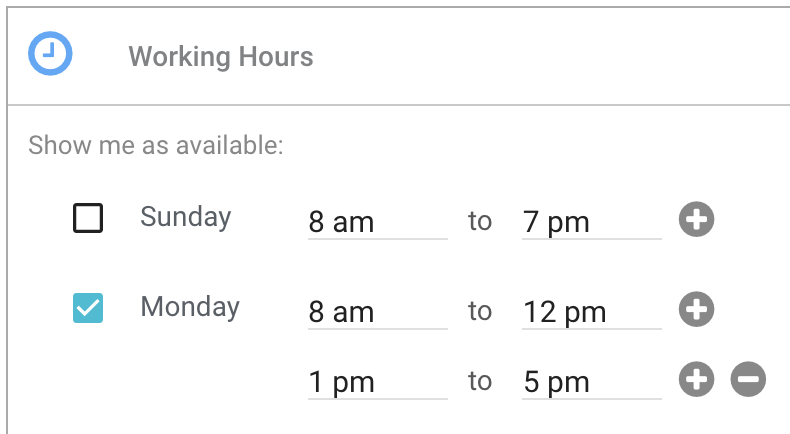 Example: Monday, Wednesday Friday you may work from 8 am to 7 pm and only want to be free from 10 am to 2 pm on Tuesday and Thursday.